CBDPure oils are made with non-GMO hemp, grown in Colorado by local farmers. 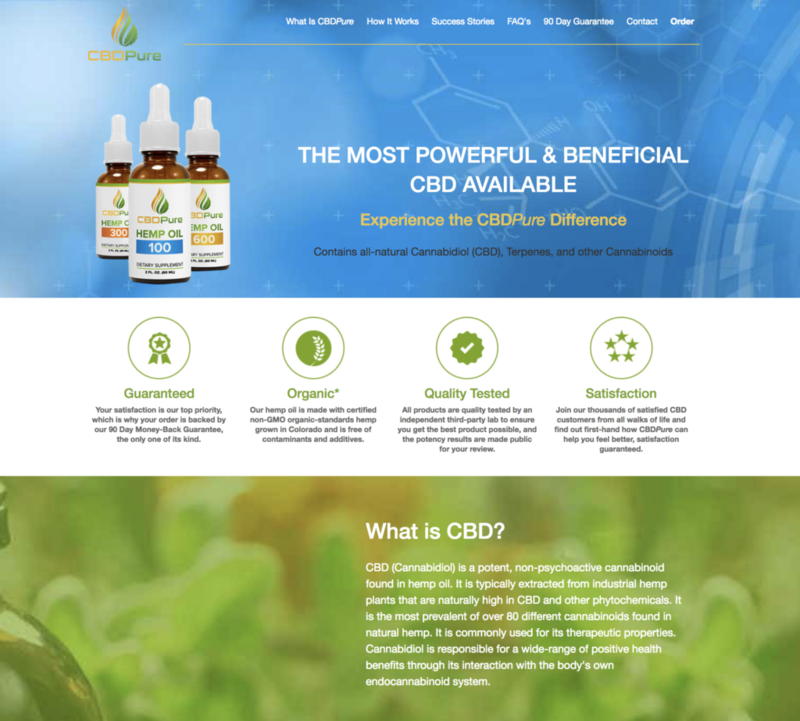 CBDPure hemp oil is minimally processed by following the highest organic standards at every step of the growing, harvesting, and bottling process. When you buy a CBDPure product, you are buying the purest CBD oil from natural sources, that is 100% free of any synthetic or artificial ingredients. ← Sebastian Park – Future Funk (Extended Mix) ← Smoking 2 Ounces Of Weed In One Sitting!